When you go online, you need to be sure no one can compromise your privacy or capture confidential information about your life. That’s why our new Private Browsing technology helps you to enjoy the Internet – without fears about social networks, analytical software or advertisers tracking your online activities. Furthermore, our Webcam Protection feature prevents unauthorized access to your webcam – so you can use your Mac, without worrying about strangers using your webcam to spy on you or your surroundings. Because online fraudsters always run around, our unique Safe Money technology automatically adds extra protection for your online transactions – including banking, shopping and more. With Safe Money running on your Mac, you can defeat cybercriminals’ efforts to steal your money, capture your credit card numbers or access your banking passwords. 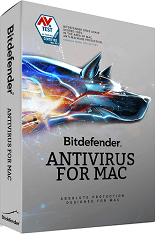 No other Mac security product delivers these financial security features. The Internet can be a powerful educational tool for your kids – provided you can shield them from online dangers. Our award-wining Parental Control features help you to protect your kids from online sexual predators & inappropriate web content. You can also control access to games & social networking websites, block the purchase of apps and prevent your kids revealing personal information that could affect your kids’ – or your family’s – security. You chose your Mac for good reasons – so, now, you’ll want to make sure you continue to get the best from it. Our security technologies are designed to run in the background – efficiently scanning and protecting your Mac from the latest digital threats. 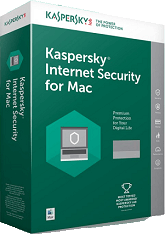 With Kaspersky Internet Security for Mac helping you to protect every aspect of your digital life, you’re free to enjoy the Internet… while your Mac keeps on performing as it was designed to. Hackers are unleashing new attacks and online threats on a daily basis. That’s why we make sure your protection can be updated – every day – and without you having to remember to do or download anything. With Kaspersky Internet Security for Mac, regular security updates are automatically delivered to your Mac – so you can be sure you’re benefiting from our most up-to-date protection. *Automatic feature applies to Kaspersky Internet Security for Mac version 2016 and later versions. Free updates and upgrades are only available during valid license period. License period starts when you activate the product on the first Mac. 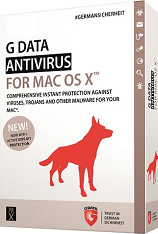 Because Mac computers can be used to spread PC and Android virus infections, our security technologies prevent your Mac from passing on Windows or Android malware to your family’s, friends’ or colleagues’ PCs or Android phones & tablets. So Kaspersky Internet Security for Mac doesn’t just protect your digital life from hackers and other digital threats – it also safeguards you from the embarrassment of spreading malware to those around you. 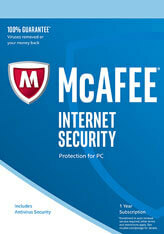 You also benefit from a free My Kaspersky account that helps to make security even easier to use. Whenever you go online, it’s easy to check the security status of all your devices that are running our security software, manage your licenses and adjust security features on each device. You’ll also get news of special offers and links to download free Kaspersky Lab products and services. Webcam Protection is available for a range of compatible web-cameras.